CCA Wattis Institute for Contemporary Arts is a nonprofit exhibition venue and research institute dedicated to contemporary art. It was founded in 1998, at the California College of the Arts in San Francisco. 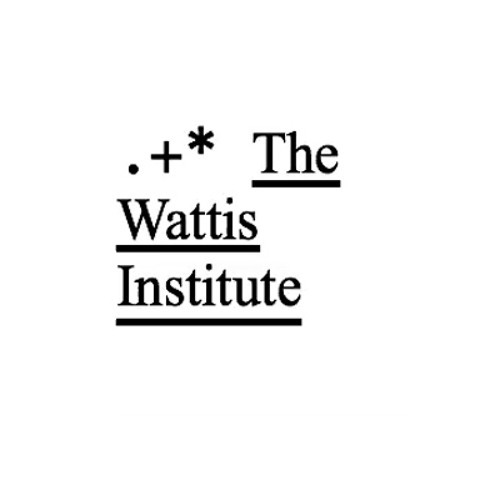 The Wattis Institute is a place for showing art and for thinking about art. We spend time with artists and pay close attention to their ideas. We like to work with one artist at a time—one artist presents an exhibition in the gallery, one artist stays in the apartment on a residency, and one artist is the subject of a year-long research initiative. The Wattis Institute is a headquarters for contemporary art for everyone in the Bay Area, and runs an active event space (featuring an artist-designed bar) for discussions, performances, screenings, artworks, and drinks.